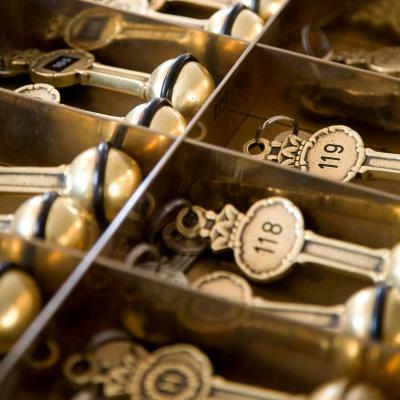 Lock in a great price for Hindsgavl Slot – rated 9 by recent guests! 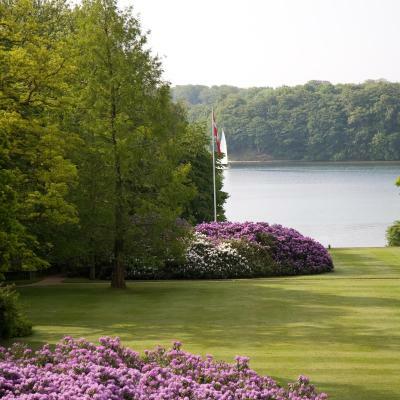 Beautiful gardens and walks, good location, quiet room. We would definitely stay again. Fantastic gourmet food - absolutely delicious - both in the restaurant and breakfast. It was not our first visit. Having it visited the first time quite some years ago, we decided to put the hotel on our list of "Hotels to remember" since we travel a lot to Scandinavia. The manor and stables are beautiful. We could not see much of the surroundings because of heavy fog at the end of February. 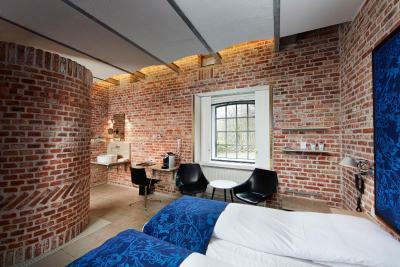 Beautiful design room in old stables. Cosy and abundant breakfast in main building. The waiter that served us during the dinner was very enjoyable. Opgraded to a great room with a bathtub We loved the dinner and the service was great. The property and the sorounding nature is beautiful! The property is unique and the grounds are just beautiful. The room was very nice and looked out over the gardens. The staff are friendly and the food in the restaurant was excellent. A special mention goes to our waiter at the restaurant last night, he was very attentive with a good sense of humour and maid a couple of Aussies a long way from home feel very welcome. Oh and there are deer!! The grounds were beautiful- even in the rain/ drizzle we still had a lovely walk around the gardens and down to the water. 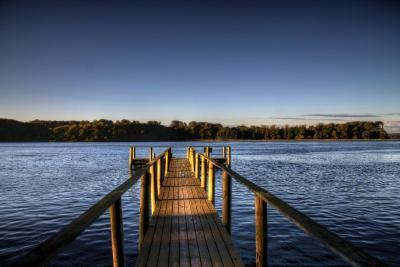 I’d love to return when it’s warmer to try bathing in the lake. The tea/coffee facilities were very high quality. All staff at check in/ check out were friendly and helpful. 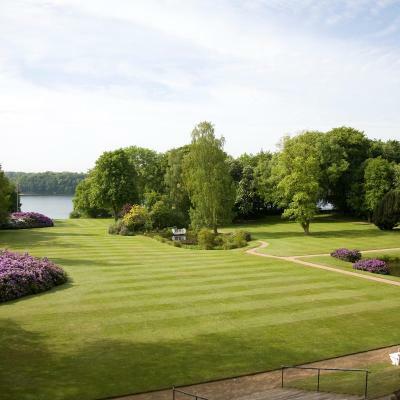 a reasonably-priced way to stay at an old manor house, with the major plus of being sound front. 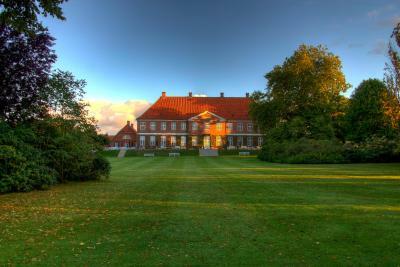 the slott is lovely and fun to walk around. the property is beautiful, with walking trails down to the sound. the restaurant (i ate from the bar menu) was delicious and reasonly-priced for the area (i checked a few other restaurants nearby to compare shop). delicious breakfast! best i've had in denmark, and one of the best in all my europe travels! Rooms are ok, location is perfect. Breakfast is preapered with a taste. Hindsgavl Slot This rating is a reflection of how the property compares to the industry standard when it comes to price, facilities and services available. It's based on a self-evaluation by the property. Use this rating to help choose your stay! 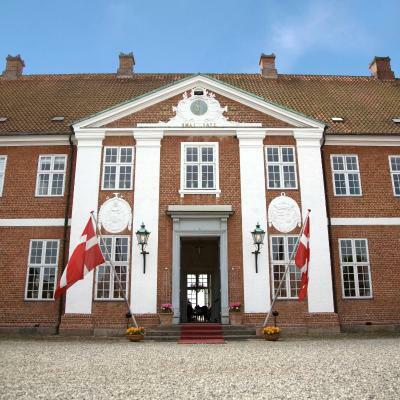 This charming waterfront castle overlooks the picturesque Fænø Sound and Little Belt Strait, in Middelfart. 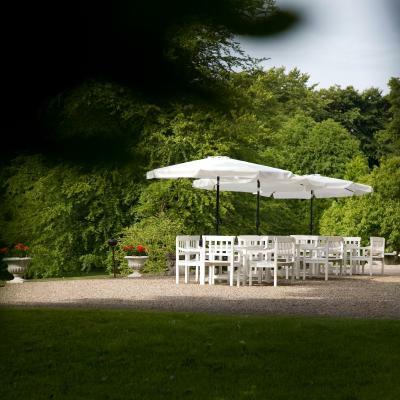 It offers a peaceful, setting surrounded by greenery. Free WiFi is available. A TV and tea/coffee facilities are standard at Hindsgavl Slot. Many rooms feature elegant, classical décor. 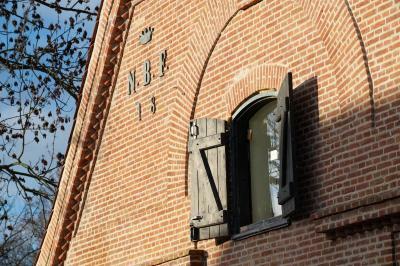 Others are set in the converted neighboring stables and have exposed brick walls and stylish, modern furnishings. The in-house, à la carte restaurant is Den Hvide Dame, or The White Lady. 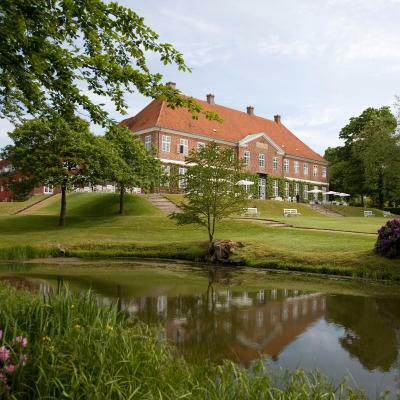 Although named after a ghost that apparently still roams Hindsgavl’s grounds, guests won't be spooked by the cuisine. The dishes are made from fresh, seasonal ingredients picked in the hotel's own herb garden. Bicycles can be rented here to explore the surrounding area. 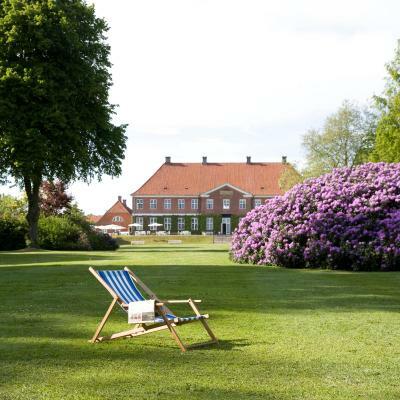 Fredericia town center is within 6.2 mi, while Odense city center is a 45-minute drive away. 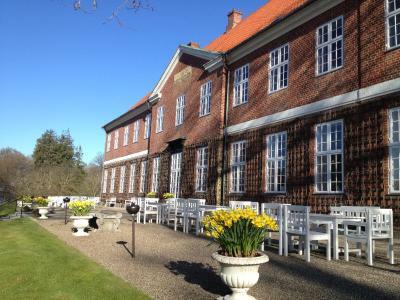 This property also has one of the top-rated locations in Middelfart! Guests are happier about it compared to other properties in the area. 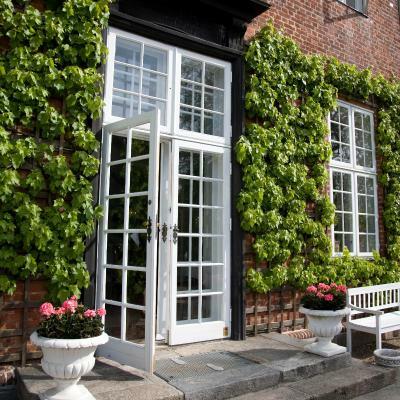 This property is also rated for the best value in Middelfart! Guests are getting more for their money when compared to other properties in this city. 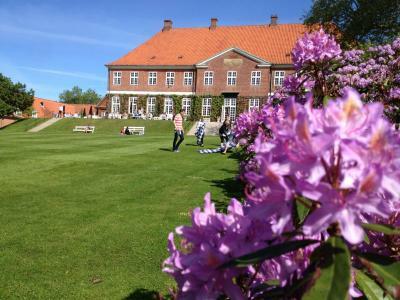 When would you like to stay at Hindsgavl Slot? 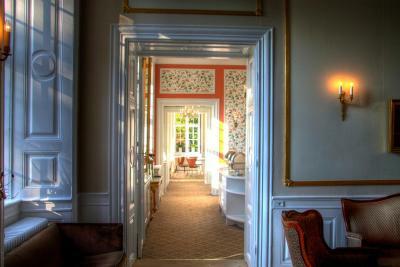 This room includes a TV and tea/coffee facilities, as well as either classical or modern décor. House Rules Hindsgavl Slot takes special requests – add in the next step! Up to two children under 2 years are charged DKK 275 per person per night in a crib. 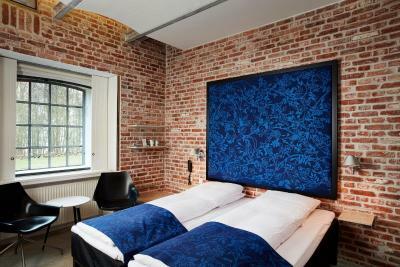 Up to two older children or adults are charged DKK 275 per person per night for extra beds. Hindsgavl Slot accepts these cards and reserves the right to temporarily hold an amount prior to arrival. First impressions of the receptionists - not fantastic.. The weather...but you can't change that. A little more information in English when walking around the property would have been nice. The bedroom was smaller than expected- just enough room for the double bed and our small bags. There was no space to sit other than the bed. Was not possible to get a cup of tea or coffee outdoors late afternoon, as they were setting up for dinner, would have been so easy to set up a small table around the corner from the dining area. Instead they wanted us to have the coffee in the bar which is not very nice on a sunny afternoon. The rooms upstairs are too warm on a summer day, only two small windows open, and none in the bathroom. Fin morgenmad! Sengene for smalle. i wish the bar had a water view. it would have been nice to linger over a drink if there was a view. there isn't much of a town nearby to explore. Had a great time overthere. Wonderful! Standard rooms are rather small. Beautiful setting. Quiet. Fine architecture.